He served as Secretary of the United States Treasury from 1789 to 1795, and now he can serve as fantastic decoration for your desk! 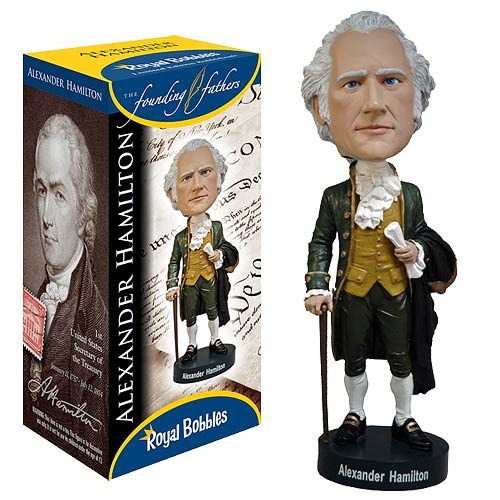 This Alexander Hamilton Bobble Head features the Founding Father promoter of the Constitution wearing his classic colonial attire with paper, coat, and cane in hand. This extra-large bobble head measures over 8-inches tall! Ages 13 and up. Made from ceramic.